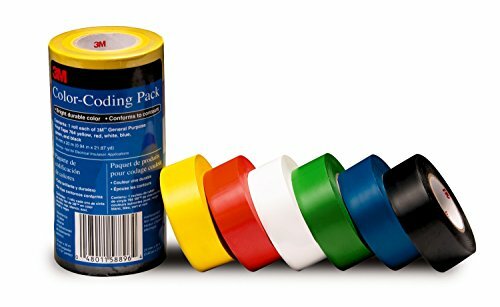 3M general purpose vinyl tape 764 is an economical vinyl tape option for color coding, bundling and safety marking applications. We've designed this tape to resist wear, weathering and light abrasion while providing good instant adhesion to many surfaces. It is available in an array of distinctive colors, as well as transparent. Durable vinyl resists scrapes, wear, weathering, moisture, and most Chemicals. Flexible backing with rubber-based adhesive bonds, conforms, and seals even irregular surfaces. Each roll is individually shrink-wrapped to protect that roll until ready for use.